Are you in the market for a whole need breed of cars, the next generation that takes it to a new level? Check out the sporty sedan mixed with a hybrid vehicle, 2016 Honda CR-Z! We understand that the process can feel a bit daunting, with so many choices and models to choose from. However, you can rest assured that at Honda of Murfreesboro of Murfreesboro, TN, we aim to make your car-buying experience easy, fun, and 100% hassle-free. We want to find you the Honda that perfectly fits your needs and desires, and doing so at a great deal! 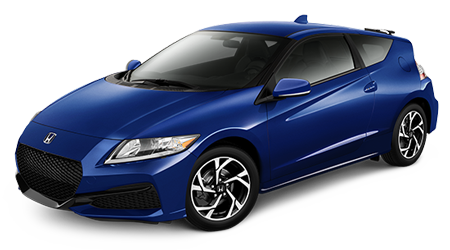 We stock the entire line and have an extensive selection of Hondas; and proudly present Honda's newest models, including the all- Honda CR-Z! At Honda of Murfreesboro, TN, we proudly serve the Nashville, Shelbyville, Franklin, TN, and surrounding areas, and are located conveniently at 1625 S Church St, Murfreesboro, TN 37130. Hurry in, so we can offer you affordable prices for the CR-Z and take you for the test drive of your life in your next car for you to take home, today! Are you ready to save on gas and put away more money month after month with your investment on a new car? The all- Honda CR-Z will be sure to deliver! It utilizes a hybrid system that produces 39 mpg highway and 36 mpg city, saving you from spending time at the pump and more time on the streets. The hybrid system is built with a 1.5-Liter i-VTEC Engine and combined with an electric motor, a 6-Speed Manual Transmission and producing 140 lb.-ft. of torque, the Honda CR-Z is ready to take on those daring corners and more fun-filled roads! A 3-Mode Driving System gives you, the driver, ultimate control over how the Honda CR-Z performs, with an ECON Mode, Sports Mode, and Normal Mode. ECON Mode optimizes the Honda CR-Z's systems to deliver optimal fuel efficiency while Sports Mode optimizes for optimal performance. Honda has designed the latest model of the 2016 CR-Z so you can drive with peace of mind on all your journeys and adventures. Features like the Multi-Angle Rearview Camera allow you to increase your road vision and allows for a 360 view, making those blind spots entirely visible, giving you the confidence to make turns and switch lanes. Each Honda CR-Z comes equipped with Dual-stage, multiple-threshold front airbags; select models utilize SmartVent front side airbags and side curtain airbags with rollover sensors, to further protect you in the event of a collision. Plus, if you like to go on adventures and longer trips, you'll love the Lane Departure Warning and Road Departure Mitigation features, which work to alert you when you are veering off your safe zone, keeping you and your loved ones safe and sound. Plus, Vehicles less than one-year-old and with fewer than 12,000 miles are eligible for Honda Care Maintenance. A 3-Year or 36,000-Mile Limited Warranty covers all new Honda vehicles! There's no reason you wouldn't want to see this beauty for yourself, so come on in to test drive the Honda CR-Z at Honda of Murfreesboro, TN! We look forward to the opportunity to work with you and your family in finding the car that best suits your needs and driving style. 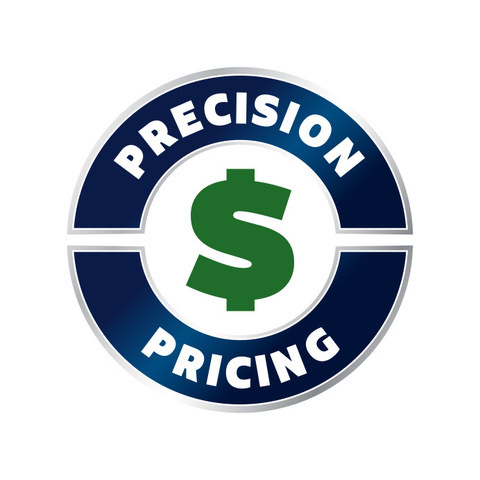 We are conveniently located at 1625 S Church St, Murfreesboro, TN 37130, and proudly serve the Nashville, Shelbyville, Franklin, and surrounding TN areas. We're ready to serve you today, so stop on by and let's set you up for a test drive of the all- Honda CR-Z, today!